Caring for your amaryllis plant after the blooms have started to die is an important part of keep the plant alive longer. The most important part of trimming an amaryllis plant is that you do it soon enough so the energy of the plant is going to the lasting blooms and not dispersing its energy to the dead ones. 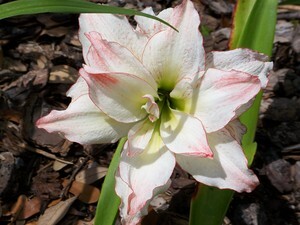 Make sure that you care for your amaryllis plant after it blooms so that you can get the full benefit from the plant.